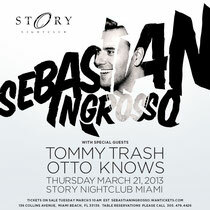 Sebastian Ingrosso recently announced his headline Miami show at Story, South Beach on March 21, bringing his label friends with him - Tommy Trash and Otto Knows! Sebastian had a top 2012, heading up Refune's strongest year ever with ‘Calling’, his recording with Alesso and Ryan Tedder. Sebastian’s record with Swedish House Mafia ‘Don’t You Worry Child’ kept Adele off the Number 1 spot in the UK and is currently the second most played record in the USA as the band draw their One Last Tour to a close. The instrumental track ‘Reload’ with Tommy Trash hit the Beatport Number 1 and is rumoured for a vocal collaboration launch in Miami. 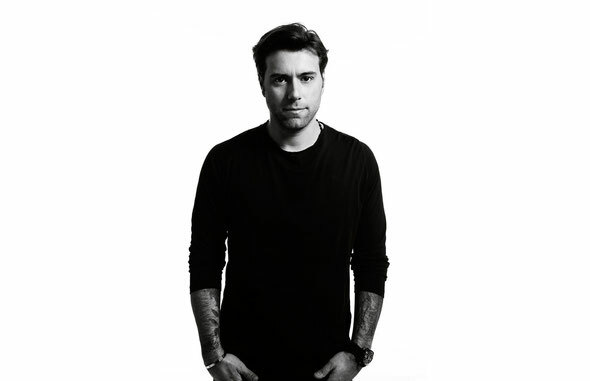 He also announced that his ‘Sebastian Ingrosso Presents All Mixed Up’ concept will be landing at Creamfields on August 25 with himself headlining, Alesso, Otto Knows, Mat Zo, Deniz Koyu, Carli, and a guest appearance by Armand Van Helden!